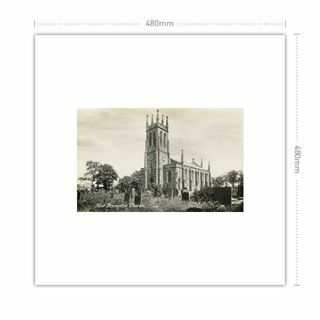 St Thomas was erected to serve New Brampton during 1830-2 at a cost of £2,930, the architects being Woodhead and Hurst. 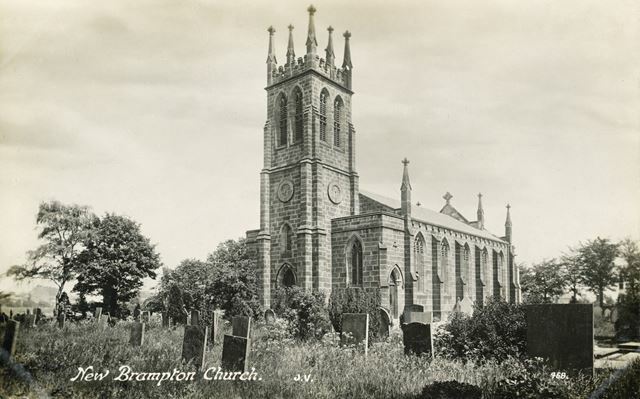 New Brampton was a new ecclesiastical parish created in 1832 from parts of Brampton and Chesterfield and included Holymoorside, Walton and part of Newbold. 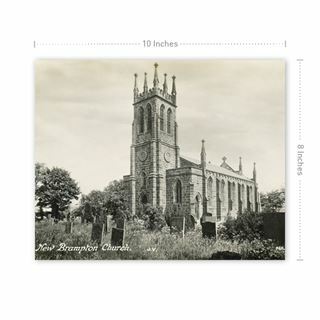 A gazetteer of 1868 indicated the church then contained '700 sittings, of which half are free', but it was enlarged by the addition of a new chancel (by Naylor and Sale) and re-pewed in 1891, modifications that appear to have more than doubled the accommodation to 1,600 sittings. No doubt this was in response to the westwards expansion of Chesterfield during the second half of the 19th century and the consequent increase in the parish's population. Kelly's trade directory for 1891 adds further detail on the church, describing it as 'a building of stone, consisting of chancel, nave and a western tower surmounted by four pinnacles and containing one bell: there are marble tablets to the Rev Matson Vincent MA and the Rev John Berridge Jebb MA, first and second incumbents of this parish: a new chancel is now (1890) in course of erection, at a cost of £1,100: the church contains 1,600 sittings, half of which are free. The register dates from the year 1831. 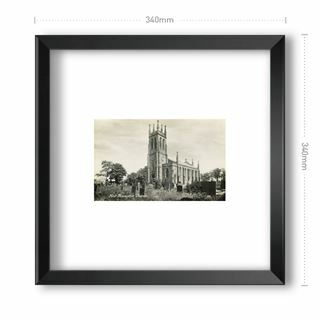 The living was declared a rectory 16 August 1867, average tithe rent-charge £210, net yearly value £250, in the gift of the Bishop of Southwell, and held since 1889 by the Rev Edward Starkie Shuttleworth MA of St Mary Hall, Oxford.' 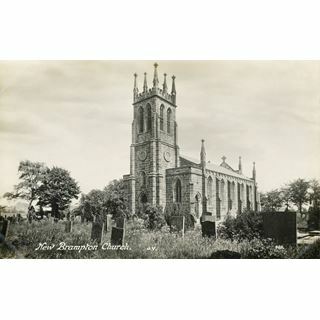 This view is a R Sneath 'Peak Series' postcard titled 'New Brampton Church' and shows the church after its 1891 enlargement.